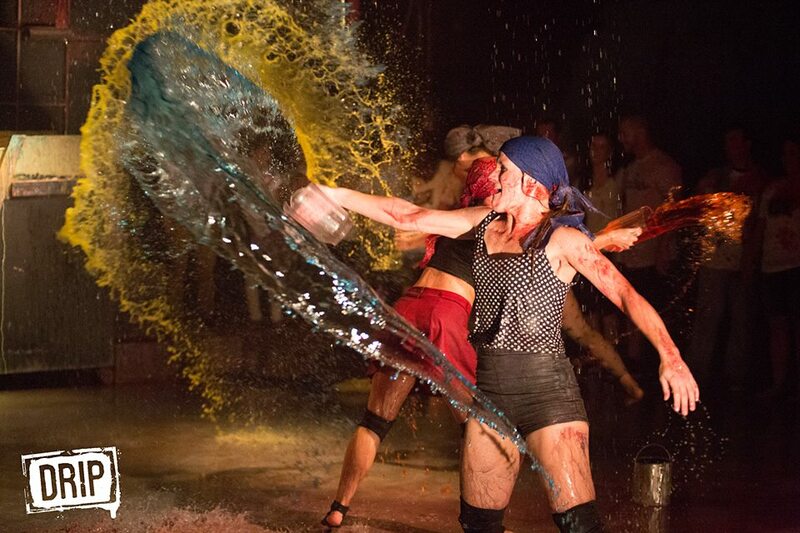 A full theatrical love story with dancers performing in paint, flying water and sand backed by a LIVE rock band. Release your inhibitions & Become the canvas. paint your DRIP shirts, paint your friendS. FOr a full experience, EMBRACE the colors that fly with abandon turning you into a unique work of art. Only a little over 100 people per show so everyone has amazing sight lines. audience stands during the performance like you would at an art gallery or rock concert. our color inspired drink menu has red, yellow, blue and orange beers, cocktails, shots and more. 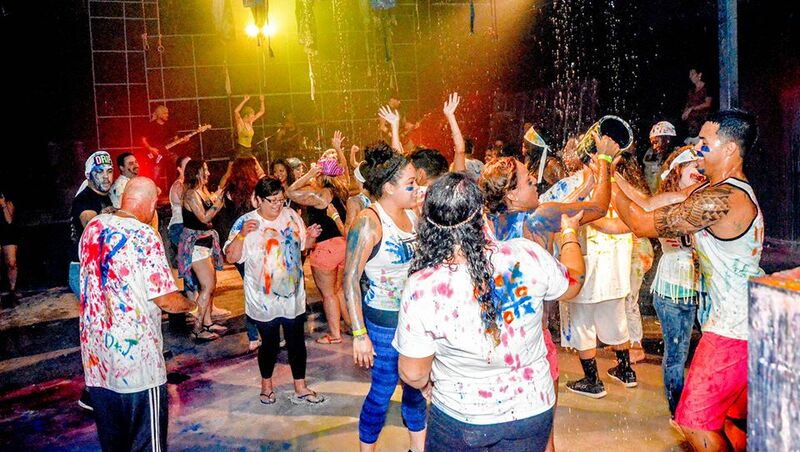 A full theatrical show featuring dancers performing in paint, flying water and sand to a live rock band!